Sri Krishna Janmashtami celebrates the birthday of Lord Krishna. Sri Krishna Janmashtami 2019 date based on calendars and panchang in India is given below. It is observed on the eighth day of the Shukla Paksha of Bhadrapad month as per traditional calendar followed in North India. The corresponding months in other region is the Shravan month. In 2019, the date of Janmashtami is August 24 in southern, western and eastern parts of India. In North India, it is on August 25, 2019. Tamil Nadu and Kerala follow solar calendars and the festival is observed annually in Tamil month Aavani and Malayalam Chingam month in Kerala. Once in three years there is a difference in dates in calendars followed in other regions (which is lunar calendar) with the calendars followed in these two states. North India, Gujarat (Dwaraka Temple), Vaishnava tradition in all regions - Sri Krishna Janmashtami is on August 24. The Sri Krishna Janmashtami is observed on different days in different parts of India in some years and this is due to the differences in regional calendars and also due to the various calculations in the time of the birth of Krishna. The Smarta Tradition observes the festival on September 2 and the Vaishnava Tradition on September 3. In Maharashtra, Janmashtami is famous for the Dahi Handi and the next day is observed as Gopalkala. Special pujas are held in Sri Krishna Temples around the world. Special poojas and rituals are also held at midnight – the time of Krishna’s birth. Processions with tabloids depicting various episodes from the life of Shri Krishna enacted by children are a major highlight of the festival. Staunch Krishna devotees fast on the day and it is a 24-hour fast. 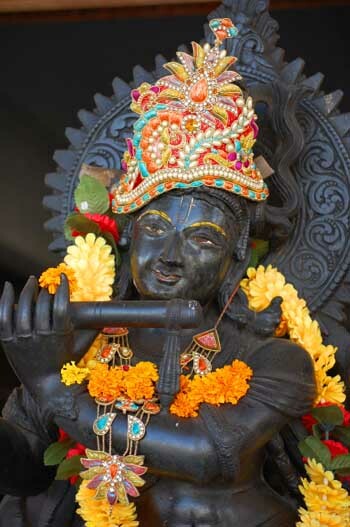 How to observe Krishna Jayanti? How to do Simple Sri Krishna Puja?